THINK CHRISTMAS! 6x6 Photo Book for 99 Cents! I know it's only October, but it's not too late to start thinking about Christmas. One thing I pride myself in is frugal shopping. I feel giddy when I get a great deal on a fantastic present! There's nothing like getting the perfect gift and saving money at the same time! Just a few minutes ago, I purchased another Christmas gift for my parents. Their grandchildren are their life and a gift with a photo of them on it = perfection! I used photos from our summer vacation together, they went with us to the Oregon coast in August! Right now at ArtsCow, you can get a 6x6 personalized photo book for just $0.99! That's less than $1 for a great gift! You can also get 8 Personalized Coasters for Just $4.99 (Free Shipping)! That's 2 gifts for less than $6! The original cost before the discount was applied was $13.98. After the discounts, I paid just $0.99! I've ordered items from Artscow in the past and have always been satisfied! Click HERE and design your very own personalized 6x6 photo book! Keep it for yourself or give as a gift! Just a few minutes ago, I purchased a Christmas gift for my parents. their grandchildren are their life and a gift with a photo of them on it = perfection! Right now at ArtsCow, you can get ANY 8 coasters for just $4.99! All you have to do is create your custom coasters and use the code: LOVEDRINKS at checkout! Be sure to put '8' in the quantity when prompted! The original cost before the discount was applied was $37.84. After the discounts, I paid just $4.99! You can also get a 6x6 Photo Book for 99 Cents! That's 2 gifts for less than $6! I've ordered items from Artscow in the past and have always been satisfied! Click HERE and design your very own personalized coasters! Keep them for yourself or give them away as a gift! HURRY! Offer ends on Wednesday, October 6th! September has been a very emotional month for me. This month has been a very stressful month for my family. My dad was diagnosed with COPD and emphysema. He has had good days, terrible days and everything in between! He goes to the pulmonory specialist on Tuesday and I'm really hoping that they can "fix" something and make things easier for my dad. It breaks my heart knowing that he is struggling almost every moment of every single day! I'm hoping that October brings better news, less stress and happier days! FREE Metal Detector For Christmas! I'm SO excited!!!! Several weeks ago, I posted an article about metal detectors. I know nothing about metal detectors and was just asking for some advice! Chandler decided while we were on the beach this summer that he wanted a metal dectector. Hubby has talked about getting one for years but we never have. Now that Chandler wants one, why not? Hubby and I had decided that we would get one for Chandler for Christmas! I had $160 saved up in my Amazon.com account thanks to Swagbucks! So, we would essentially be getting it for FREE! Last Christmas, I used my Swagbucks to get FREE CHRISTMAS PRESENTS for my kids as well! I'm excited to be doing the same again this year! I have been checking Amazon.com for metal detectors atleast once a week for the past month. Looking for deals and reading customer reviews. Well, last night I came across an AMAZING deal! I didn't even think twice about it, I added it to my cart and immediately checked out! Chandler is going to be SO excited when he opens this package! $49.99 in gift account balance was applied to the Heartland America parts of your order. Today is double ticket day at Club Bing! That means you can earn up to 1000 bonus tickets today! If you aren't already a Club Bing member, it's absolutely FREE to join! You play games and earn tickets that can be redeemed for great prizes! Share Your Weekly Shopping Savings! 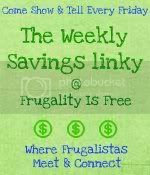 The Weekly Savings Linky at 'Frugality is Free' is a place for us to share our weekly shopping savings with one another. We just might help each other find a great deal or bargain that we might have missed out on! My most recent grocery savings was at Albertson's. I ended up getting Goldfish crackers and Minute Maid juices absolutely FREE! I saved 100% by combining coupons with sales. All I had to pay was sales tax! So, stop on by and check out all the excellent savings! Join One Kings Lane and get a $15 instant credit! I save up to 70% on top home decor brands at One Kings Lane. New sales events launch daily at 8am PT and 11am ET. The sales last just 72 hours. Come early! Quantities are limited. Your $15 credit is also good towards shipping costs - so you can find an item for $7 or less and it will arrive 100% FREE! I've been a member of PineCone Research for several years. To be honest, I can't remember exactly how long it's been! I do NOT get anything for referrals. Other than the pleasure of sharing something great with my family and friends! From time to time, PineCone Research looks to expand its member base. Right now is one of those times! So, if you want to earn a little money each month for completing easy surveys. Or if you want to receive some FREE product samples... now is the time to join! I'm Honored - I Received 2 Blog Awards! Now I'm Passing Them On! 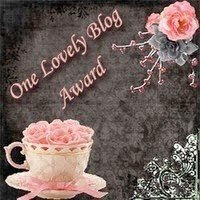 I am SO excited, thrilled and honored to have been chosen to receive not one, but two blog awards! Thank you to Frugality Is Free and Wendy from Around My Family Table for giving me these awards! Here are the rules to accepting the award! 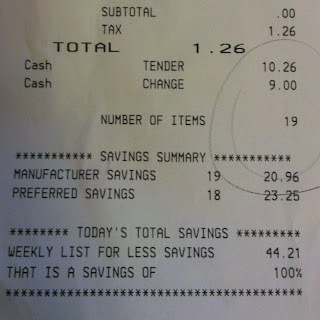 Frugal Grocery Shopping: I Saved 100%! Last week I received a bunch of coupons in the mail from one of my PTO sources. I'm the PTO president at my kids elementary school and several times throughout the year I receive free samples, copons and products. We are a small school so we always have plenty of extras to go around. In the last bunch of goodies that I received - there were $1/1 Goldfish cracker coupons. I thought to myself; WOW, what a great deal! I know that often times our Albertson's will have Goldfish crackers on sale 10 for $10. So, $1 each! Sure enough, that sale was going on this week and I took full advantage! I ended up going a couple different times. 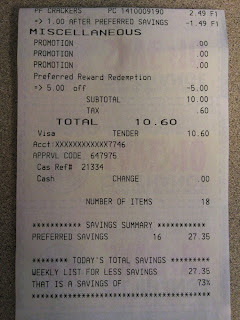 Saving 100% each time, only having to pay sales tax which is 6 cents per $1! I also had some coupons for FREE drinks from My Coke Rewards, so I used them too! This trip I got 15 bags of Goldfish, 1 Dasani water and 3 Minute Maid drinks! I paid just $1.26 for 19 items! I saved a total of $44.21 for a total of savings of 100%! It doesn't get much better (or cheaper) than that! I love shopping like this! Can't beat an absolutely FREE deal like this one! What is the best deal you have gotten lately? Just a few minutes after my last BIG grocery shopping savings, Frugal Grocery Shopping: I Saved $160 & 83%, I used a coupon that printed out with my receipt and saved even more! I LOVE shopping with coupons, especially when I can add those to already great sale prices! While at the checkout counter, I noticed that Goldfish crackers were on sale for $1 a bag. A $5 coupon printed off with my receipt, so it was the perfect opportunity to stock up on Goldfish snacks for the kids. They are perfect to send in their school lunches since they both choose to take a lunch from home each day. I ended up getting 15 bags of Goldfish crackers for just $10.60! A total savings of $27.35 and 73%! Last week I once again stocked up on cereal, pancake mix and granola bars. I love it when Albertson's has their $1 a box sale! Several months ago they had this same sale. Hubby just happened to be off work that day, so he went along with me. I had about 30 boxes in the cart. He didn't think it was enough and continued to add several more boxes. 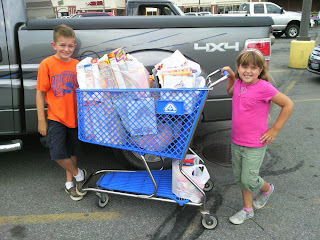 We ended up getting a total of 74 items, all for $1! 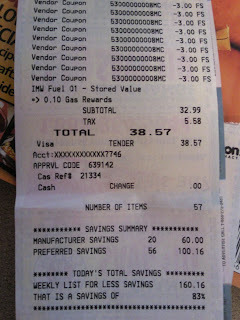 This time I didn't get nearly as many but I still saved a ton of money got a total of 57 items and I spent just $38.57. I saved a total of $160.16 for a total of savings of 83%! It doesn't get much better (or cheaper) than that! I love shopping like this! Have you gotten any great shopping deals lately? Are you reading, willing and able to help fight world hunger? Lose-A-Palooza is a one-day social media event created to encourage participation in the Lose For Good campaign to benefit Share Our Strength and Action Against Hunger. As part of the Lose For Good campaign, Weight Watchers will donate $1, up to a maximum of $60,000, to Share Our Strength and Action Against Hunger for each approved mention, acknowledgment or action related to “Lose For Good” made on September 14th through blogs, Twitter & Facebook! Lose-A-Palooza is different than Lose For Good but just as important! This important event runs one day only – September 14th – and its objective is to drive as much social media awareness as possible for Lose For Good. It's official... I'm getting my fatness back on track! I'm just so sick of feeling pregnant and wearing baggy shirts to cover things up! I want to lose atleast 20 pounds and I'd love to do it before 2011! 25 - 30 pounds is my ultimate goal. I want to weigh less than my wonderful and supportive husband! Stephy's best friends mom is also a very close friend of mine. We have decided to team up and lose weight together! We are going to exercise/workout together 3 mornings a week. Monday, Wednesday and Friday mornings we will be going to Curves! (We signed up yesterday and had our first workout this morning). I've been a member of Curves before but with two kids and my hubby's crazy work schedule, I was only a member for a year. That's back when Stephy was about a year old! We might even end up doing things together on other mornings as well, like walking or riding bikes as long as the weather allows. But definately 3x a week at Curves. We will motivate each other, encourage each other and keep each other on track! I didn't like getting weighed and measured this morning. As well as getting my body fat % calculated. But, it's where I am and where I'm starting from! Atleast this way I will be able to easily track my progress and see how far I go each month! August was a slow month as far as online earnings are concerned. I don't mind though because we had a great month together as a family! We went on a FREE vacation that I paid for with my online earnings! We went to the Oregon Coast, left on the 10th and returned on the 21st. We were without internet service the entire time! It was so relaxing!